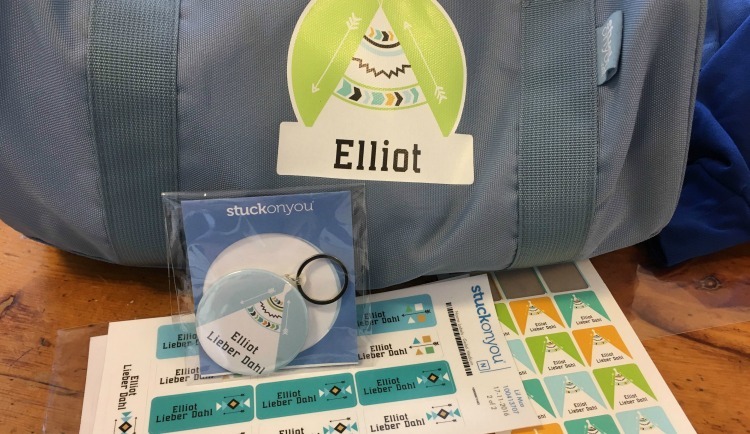 We're Stuck On Stuck On You- The Back To School Labels You Need! Whether you have a little one starting school / childcare or your young ones have outgrown their old school uniforms, it’s that time of year! Looming in front of you is ‘the pile’, an entire wardrobe of new school uniforms. 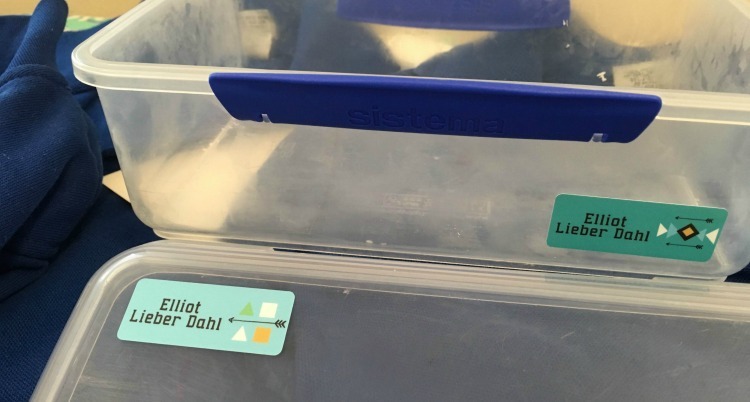 With the Principals’ mantra echoing through your mind “Everything must be labelled!” you are now faced with that overwhelming task of labelling. My son is starting school next year, so I wanted to make a good impression with those who run lost property. 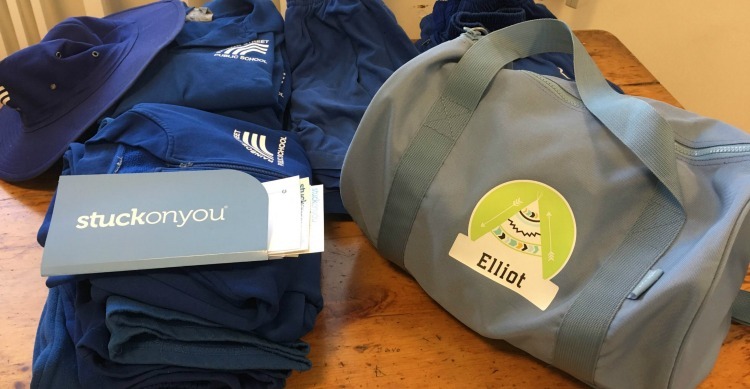 Let’s face it, which child won’t lose something throughout the year, and how good is that feeling when you get it back because you have label, label, labelled everything! 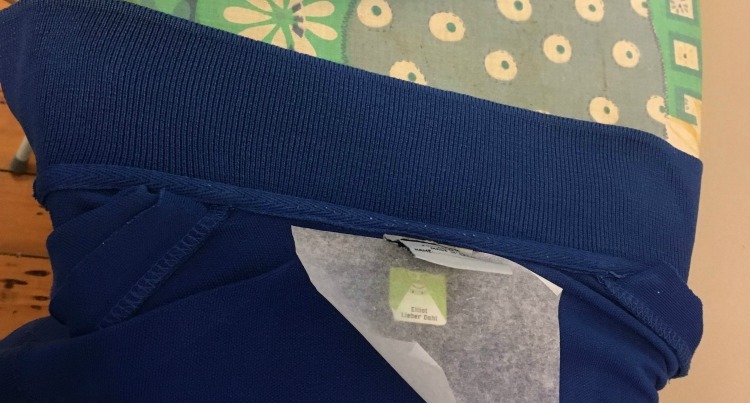 1 sheet of ‘Iron On Clothing Labels’, 28 labels on a sheet with a variety of 4 different colours: blue, green, orange and aqua. They are small squares, about 2.5cm, a great size, not too big. 2 sheets of ‘Name Labels’, 24 labels for lunchboxes and other items, with a variety of 3 colours: white, aqua and blue. These labels are quite long 5cmx2cm, if you have small container, they will take up a lot of space. 1 Keyring which will be great for his school bag. I’m certainly no 50’s housewife when it comes to ironing, but I do know how to iron. The instructions are well written and easy to follow, however it took me 4 labels to perfect the process. I recommend turning your garment inside out so you can lie it perfectly flat before ironing on your label. The first few goes, I found the sides of the labels cured up a bit or I seemed to stretch the label. I think I was a bit scared that I’d burn my fingers and I didn’t follow the instructions of just pushing down for 10 seconds, I moved the iron instead of keeping it still. Once I had gained confidence in iron control and mastered the art, it was home-sailing and 17 items have been perfectly labelled. The labels wash really well, when they came off the line, they looked exactly the same as they did when I applied them, like part of the garment. Even the ones I’d managed to curl at the edges were stuck fast! I like the fact they use lead free and child friendly inks. The ‘Name Labels’ are really easy to apply, and stick on very well. They mention that some sunscreens and body products may cause the ink to wear off, I think at the rate my child grows, he would have outgrown the garment before the ink had chance to wear off. They have a large variety of designs and images, next year I will let my son decide on the ones he likes. 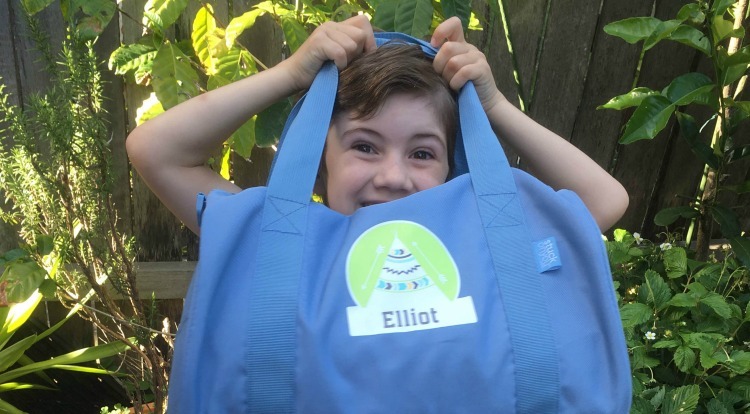 We also got a gorgeous duffle bag, which my son loves and we have already used for camping and swimming. They have a great range of products including bags, lunch boxes, water bottles, stationary and clothing that can be personalised for your child or that will make a fantastic presents for someone else. If you love Stuck On You, head to their website to buy them in time for Back To School!